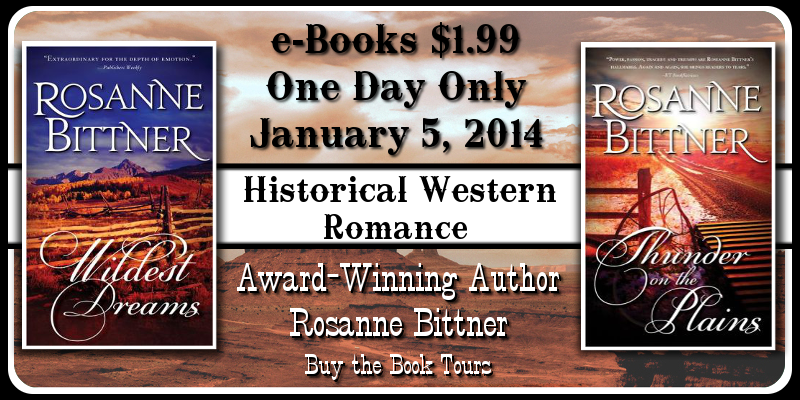 For one day only, January 5, 2014, Rosanne Bittner's books will be on sale for $1.99! 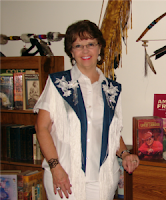 Lettie MacBride knew that joining a wagon train heading West was her chance to begin anew, far from the devastating memories of the night that had changed her forever. She didn’t believe she could escape the pain of innocence lost or feel desire for any man ... until she meets Luke Fontaine. Against relentless snows, murderous desperadoes, and raiding Sioux, Luke and Lettie will face a heartrending choice: abandon a lawless land before it destroys them, or fight for their ... Wildest Dreams. Click here to read Chapter 1 of Wildest Dreams. Sunny Landers wanted a big life -- as big and free as the untamed land that stretched before her. 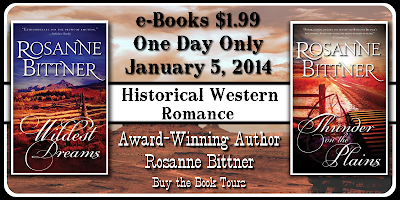 Land she would help her father conquer to achieve his dream of a trancontinental railroad. She wouldn’t liet a cold, creaky wagon, murderous bandits or stampeding buffalo stand in her way. She wanted it all -- including Colt Travis. For a moment everything went silent for Colt. Nothing existed but the utterly beautiful woman in his arms ... her blue eyes ... her golden hair. He moved a hand to rest against the flat of her belly. “He takes her to his tipi and makes her his slave,” he answered, his voice gruff with passion. 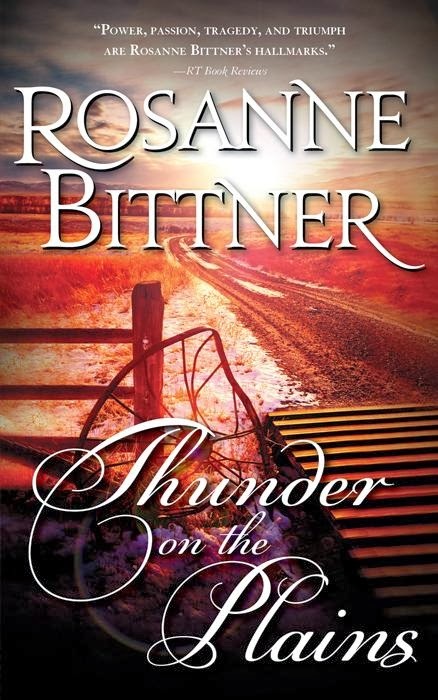 Award-winning novelist Rosanne Bittner is highly acclaimed for her thrilling love stories and historical authenticity. 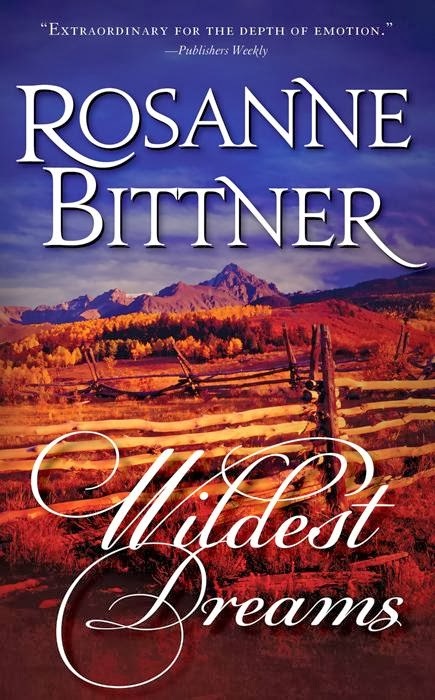 Her epic romances span the West -- from Canada to Mexico, Missouri to California -- and are often based on Roseanne’s personal visits to each setting. She lives in Michigan with her husband and two sons.